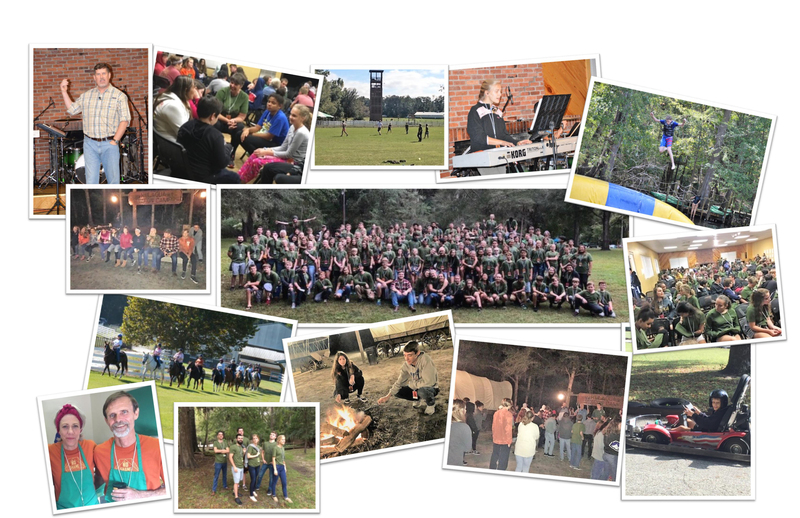 Join us for Fall Retreat in High Springs, Florida. The weather is cooler and we always gather for a hayride and campfire on Friday. We canoe down the Sante Fe River on Saturday and enjoy horseback riding and the Tower of Faith on Sunday. That's not all. We visit the zoo, played ultimate frisbee, have great food and have a blast on the BLOB! The best parts of retreat is Praise & Worship and the messages. Mark your calendar.